Job-seeking military veterans are ultra-competitive candidates. They have proven track records and in-demand skill sets. Sometimes their value gets lost in translation, but here you’ll find some of the crystal clear benefits for recruiting and hiring them. Change can be challenging and is often met with resistance But there are people out there who know how to both embrace and implement change. Those people are often veterans. They are going to ask the tough questions, intent on truly understanding the coming changes so that they can be an active and impactful contributor to the overall transformation. They will also support the change leader(s)’s vision and they will help to communicate it to other team members. They will act with patience, as they have been through many changes throughout their time spent in a military uniform. Military veterans are excellent at keeping themselves and those around them on track. Integrity, order, and discipline all play a factor here, which are some of the greatest attributes of veterans. As a current Operations Manager with over 50 employees I am responsible for, I find that high levels of peer-to-peer accountability coincide with high levels of morale. Not only will veterans be very vocal in identifying non-compliance, they will also offer support in correcting any issues. The United States Military is definitely one of the most diverse institutions in the world. As a result, veterans epitomize inclusion and respect, and value the uniqueness of every individual. Hire them onto any team and they will seek out multiple points of relatability. To military veterans, championing diversity isn’t a marketing campaign or a necessary means to an end —it’s a lifestyle and a vital condition for a culture to thrive. Veterans are often very affordable to acquire. This is possibly due to the myriad of professional development resources dedicated to veterans in transition, such as Accenture and Udacity’s Veteran Technology Training Program. 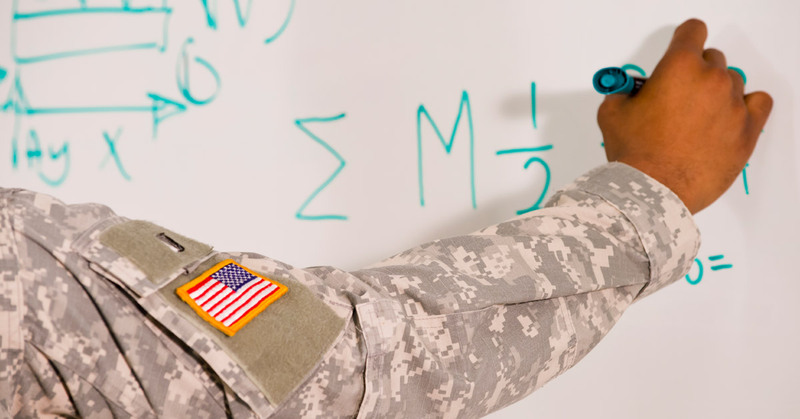 Yes, Accenture, number 44 on Forbes World’s Most Valuable Brands list, is partnering with Udacity to deliver a two-month training program that transforms veterans into Software Engineers. Selected participants for the Accenture Veteran Technology Training Program will enroll with no out-of-pocket cost. Military veterans are masters of time and space—not in the superhero sense, but in terms of delivering results on time, no matter the challenges. Often required to perform under immense pressure, they recover quickly from mistakes, adversity, illness, injury, distractions, and any other hurdle on the path to a mission’s success. My hope in writing this post is that recruiters and hiring managers will give military veteran candidates stronger consideration and that they will continue with efforts to understand how veterans’ backgrounds translate into value-added for their respective organizations. Lex R. Brown II is a veteran of the U.S. Air Force and Operation Iraqi Freedom. A native of Atlanta, Georgia and current Business Operations Manager, Lex also freelances as a Writer and Content Marketing Consulting (www.SolutionsByLex.com).